I am tomocarl from the sound section of AMATA K.K. I’m a part of the Film Club here at AMATA. This is a story from about 2 months ago, but around the new year I went to see “In This Corner of the World“ for the 3rd time. This is a film which had been playing for a lot longer than most, since November of 2016 in fact. As a result, I suspect many readers have probably seen it themselves by this time, right? <Summary>In February of 1944, 18 year-old Suzu marries into the Hojo-family, who live in the naval port town of Kure, Hiroshima. Even after the outbreak of war, when goods become more and more scarce, Suzu attempted to stay positive and cheerful, but the following year, she loses something very dear to her in the air raids. The atomic bomb is dropped on Hiroshima, and the war reaches its conclusion. Despite her experiences, Suzu decides that Kure is where she belongs, and goes on living. Since it is a war film, there are many dark and sad scenes, but it also portrays an optimistic view of how a family can be, and is a masterpiece guaranteed to produce sad, painful, and happy tears alike. Kotringo’s score for the film was also fantastic! The Fantasy sequences like monsters, Zashiki-warashi (**A type of Japanese spirit), and crocodiles helped give depth to the film. I even thought the scene with paint-like fumes from the air raids might even be a kind of message encouraging people to let the fantasies in their head always be free?? Or something like that, anyway. 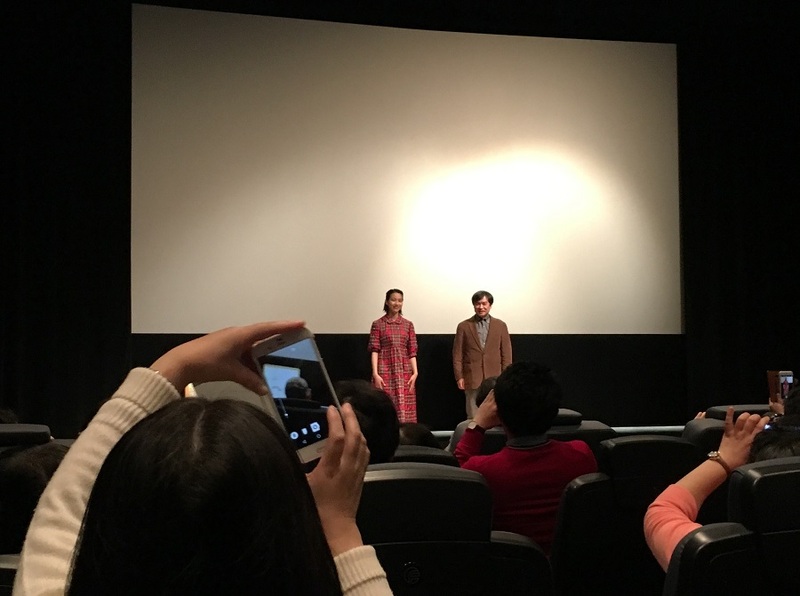 Also, if you can believe it, the day I went to see it, the film’s director, Katabuchi, and the lead voice actress, Non-san, came to give a few words! But seriously, I have to say Non-san was just like she is on TV exactly like Aki-chan on “Amachan”! Actually, the whole reason I’m talking about a story from new year’s is because I wanted to kick things off with something AMA-related, to go along with the “AMA”TA Blog. In Japanese the first-person pronoun “jibun” (literally “yourself”) is also something that originated with the TV show “Amachan”. Well, for next time I’m thinking about “Hitsuji no Ki”. I am a huge, huge, HUUUUUUUUUUUUGE fan of director Daihachi Yoshida’s work.